“We’re ready for the decisive war that will bring about Israel’s disappearance from the earth. Our young airmen are prepared for the day when Israel will be destroyed,” Brig. 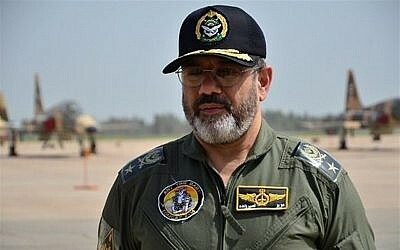 Gen. Aziz Nasirzadeh said, according to an Iranian news site. His comments about eliminating the Jewish state were made during an interview with a state-linked news site, hours after Israel and Iran traded blows over Syria. 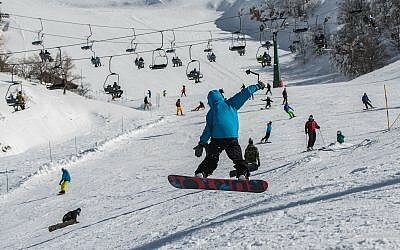 In the predawn hours of Monday morning, Israeli fighter jets targeted Iranian weapons storehouses, intelligence facilities and a training camp near Damascus during the bombardment, the Israel Defense Forces said earlier in the morning, accusing Iran of firing a missile at the Hermon ski resort a day earlier. This entry was posted in Country, Government, Iran, Israel, Middle East, Syria, Violence - Evil, World and tagged end time signs that the end is near, Iran threatens to annihilate Israel, tensions in the Middle East against Israel increasing by Gordon King. Bookmark the permalink. Thanks for your comment boosdiet! We live in a fallen world, a world of evil, wickedness and violence, a world headed by Satan. Satan is the ruler of this world, and so it goes that there will be war and violence. Satan and his demons have been rebelling against God ever since his fall from grace. Satan has been attempting to undermine God’s plan ever since. The Jews are God’s chosen people, Satan knows this, and he has been trying to destroy them ever since. They are God’s chosen people, God’s chosen nation, God’s chosen city Jerusalem, and the Savior of the world Jesus Christ came from the Jews! Why does most of the world hate the Jews? Why is there so much aggression towards Israel and antisemitism in the world? Why have the Jews been and still are such a persecuted people, unlike any other that we have ever known or seen before? The world has been attempting to annihilate the Jews ever since their existence thousands of years ago. The world is also now trying to annihilate the Jews off of the face of the world. Haven’t you heard Islamic rulers saying that they will annihilate the Jews, that they will wipe Israel off of the face of the map? Well my friend the world will come to odds with Israel very soon, this is called the War of Gog and Magog, when the nations surrounding Israel will attempt to wipe her out! But God will intervene and destroy all of these forces supernaturally. Read Ezekiel 38, the War of Gog and Magog. Have you noticed over the past several years the build up of nations around Israel? Russia, Turkey, Iran, even Hamas, Hezbollah, and the so-called Palestinians? This isn’t happening by chance, no it was prophesied to happen thousands of years ago by old testament prophets. This is just the precursor to what is coming, and it will happen. How soon? I don’t know but the way things are moving so quickly in the world I would presume not very much longer. The only real and true peace the world will ever know is when Jesus Christ comes back to rule and reign, that’s the only time!